“He will not falter or be discouraged till he establishes justice on earth. In his law the islands will put their hope” (Isa. 42:4, NIV). This verse is part of one of Isaiah’s messianic prophecies, foretelling Jesus’ ministry. I love the insight it gives us into our Lord’s emotions. Specifically, into the steadfast stability and stalwart strength of His emotional experience as He governs the universe. “He will not falter or be discouraged.” Clearly, we are far from the place where He will have fully established justice on the earth. Flagrant, heartbreaking, deeply disturbing injustices roll daily before our eyes through every news outlet. And yet, there He is, on the throne, completely unperturbed. Not faltering. Not discouraged. At all. In fact, His response to all the enemy’s plotting and raging is to laugh! (Ps. 2:1-4). Fully aware of every last movement of even the smallest demons, He is nonetheless unceasingly enveloped in glorious, invincible, unwavering peace. Are you faltering today? Is discouragement trying to smother your joy? If so, look to Him. Look to the Author and Finisher of your faith. When you catch a glimpse of the victory sparkling in His eyes, your perspective will shift. He knows something that He will impart to you, if you will linger in His presence. You may already know it in your head, but He will deepen that knowledge, causing it to saturate the core of you. “Therefore, my beloved brothers, be steadfast, immovable…” (1 Cor. 15:58a, ESV). Deeeeeeep breath. Slooooooow exhale. ❤️ Once again, thank you. You are welcome, sweet friend. Love you! 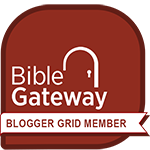 I hope you eventually plan to publish a devotional from these blogs….they are excellent! This one will especially impact my life. I’ve developed this attitude that unless I’m worried about someone’s prayer request, I don’t really care. I’ve mixed emotions in where they don’t belong. Thanks; I’m going to be all about peace! Karen from Jesus People Church.